Queen Elisabeth has just broken a record : she has become the longest reigning British monarch. 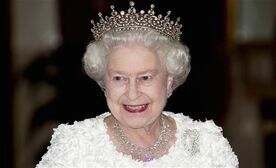 1. Who was the longest reigning British monarch up to yesterday? 2. Queen Elizabeth is sporty... what can she do? 3. She has got a surprising personality. Why?